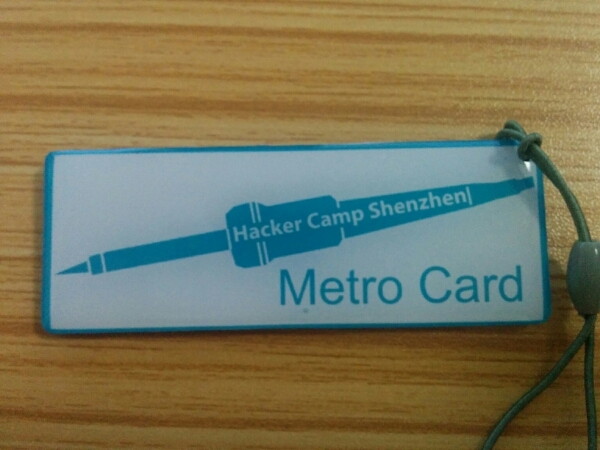 The next hackercamp Shenzhen group gets a customized Shenzhen metro card. Its always a pain to get everyone in the group a card, get it charged, or buy tokens. This time we’re just going to hand them out. These customized cards were the same price as a normal metro card. This entry was posted on Tuesday, September 9th, 2014 at 9:19 am	and is filed under Hacker Camp Shenzhen. You can follow any responses to this entry through the RSS 2.0 feed. You can skip to the end and leave a response. Pinging is currently not allowed. Is Hello Kitty hiding on the back?